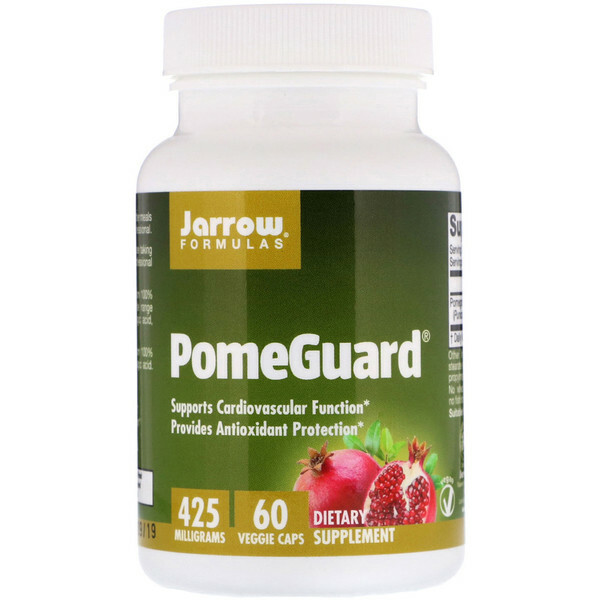 Jarrow Formulas PomeGuard, derived from 100% California Pomegranates, contains a wide range of polyphenolic compounds, including ellagic acid, anthocyanins and ellagitannins. 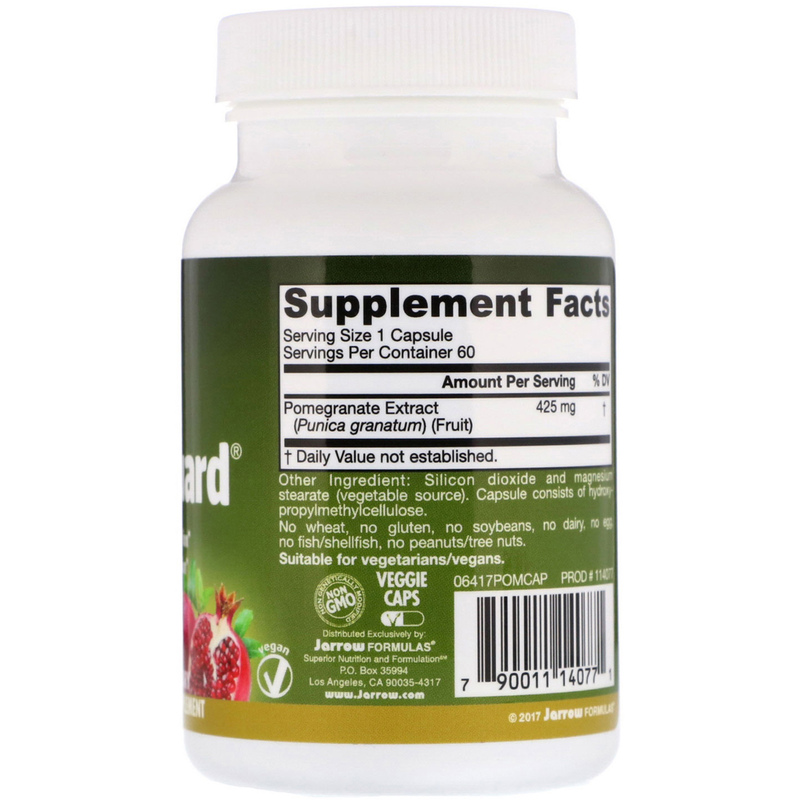 Take 1 capsule 1 or 2 times per day after meals or as directed by your qualified health care professional. Note: If you have a medical condition or are taking medications, consult your health care professional before using this product.